…for anyone who loves historic buildings, that is! Order by Mon 17th Dec 2018 for arrival in time for Christmas. Rather than buying more ‘things’ this year, why not give someone with an interest in historic buildings the gift of knowing they have supported our work? Gift Membership of the Ancient Monuments Society and the Friends of Friendless Churches is good value at £20 (Student / Senior) or £30 (Individual) per year – as members join two societies for the price of one. Go to our Join Us page and select the appropriate type of membership (e.g. Individual). Select ‘Yes’ under ‘Is this a gift?’ and enter the name and address of the recipient in the box. If you would like us to send the welcome pack direct to the recipient, you can add a gift message. Otherwise, please request delivery to your own address. The last date for Christmas orders is 17th December though of course you can still join after that date, and your membership pack will follow in the New Year. 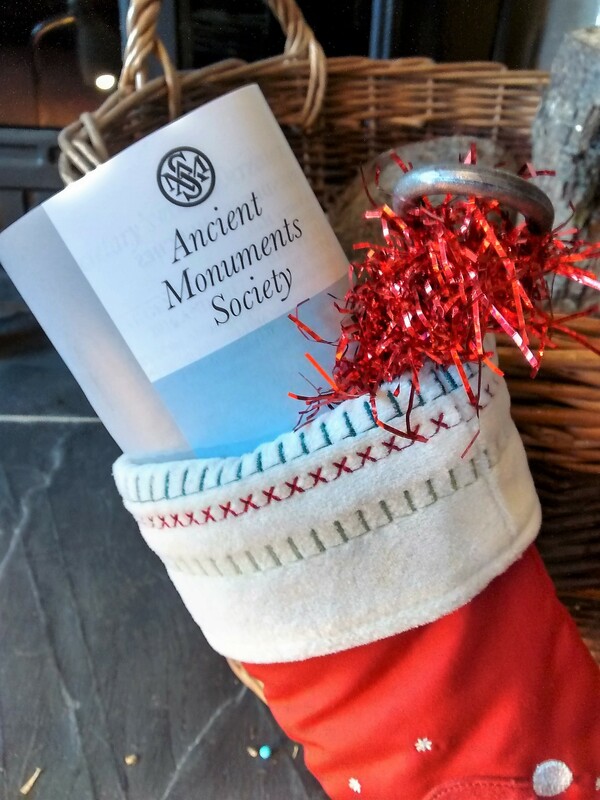 Membership includes three newsletters per year, Winter/Spring, Summer, and Autumn, and a copy of the AMS ‘Transactions’ published in spring. All members are entitled to attend AGMs of both organisations, a great occasion on which to meet like-minded people in a historic setting. Members also receive invitations to our Autumn Visits – this year we went to Fulham Palace, Brixton Windmill, the Moravian Church in Chelsea and Warminster Maltings in Wiltshire. Two AMS & FFC postcards AND a Christmas Card! The gift of Life Membership is also available at £700 (Individual) £900 (Joint) or £450 (Senior – 65+) – a bargain as rates are unchanged since 2010. The last date for Christmas orders is Monday 17th December 2018 and while you can join at any time, Welcome Packs requested after that date will not be guaranteed to arrive before Christmas.